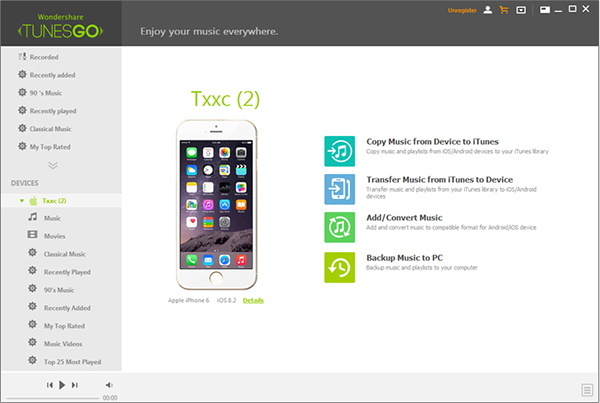 Tunes Rebuilder to manage iTunes music and transfer music from iTunes to Android. As we all know that iPhone music can't be transferred to iTunes. Thus, it is really hard to manage and backup your iPhone music unless you are an excellent hacker or computer expert! You may say iCloud? Yes, it's a way! But only 5GB supported for backup, it's rarely far to store all of your files like photo, not to speak of music. Purchase more space? But it does cost. iTunes Rebuilder comes to solve this headache! Backing up iPhone music can be extremely easy with only 3 easy steps. Please connect your iOS device to computer after downloading and launching the program and make sure your media is detected properly. Once your device is detected, the interface will show you four kinds of modes beside your device. 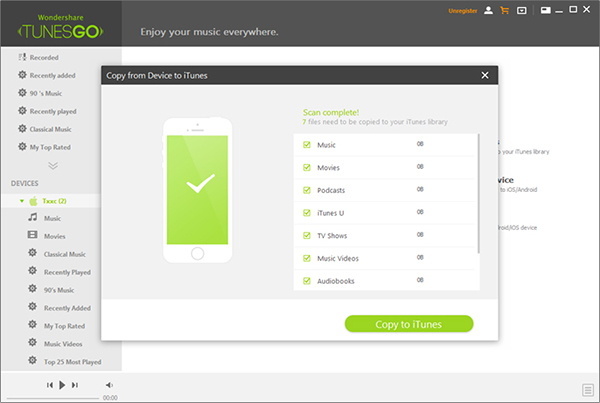 Choose "Copy Music from Device to iTunes". And then click "Start" in the pop-up window. After clicking "Start", the program will automatically scan your music, movie, podcast and more from your iPhone. You can select which part you want to recover and click "Copy to iTunes" at the right bottom while scan finished. Accordingly, your music will be completely copied to iTunes for proper backup. How to Free Download Music from YouTube to iTunes Library? If you are iPhone users, you definitely spend much on your music. Suppose one of the music or more that you purchased does not listen charmingly. Then you may waste the music fee! The newest Tunes Rebuilder frees your music by downloading from YouTube or some other webs. Here are the explicit tips for your reference. Select "YouTube to iTunes". And then search music from YouTube, as well as copy the music link. Thus, when you back to the program, music link will be automatically pasted to the blank under "YouTube to iTunes". Once the music link pasted to the blank, the final step for you is just to click "Download" to get your music to iTunes. iTunes has a very strong association with Apple or Apple products. 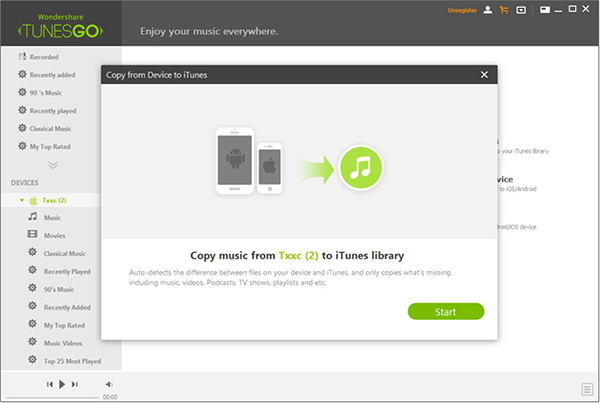 Yet, it is not possible to transfer music from iTunes to your Android phone. You've been living in the iTunes world for many years, but now you are eager to get out as you change to use Android devices. So, how to play iTunes music on Android? 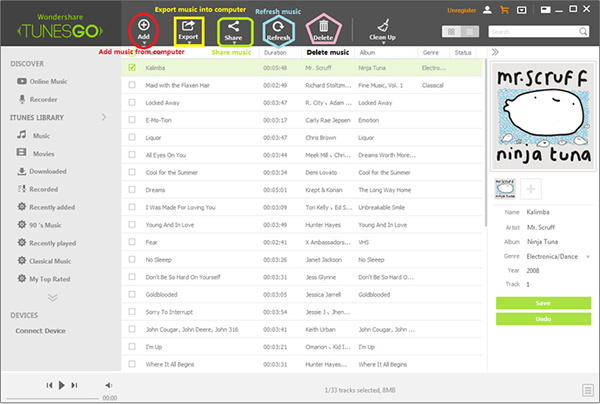 Tunes Rebuilder will show you! Please run the program immediately once you've downloaded it. Then connect your Android device to computer. 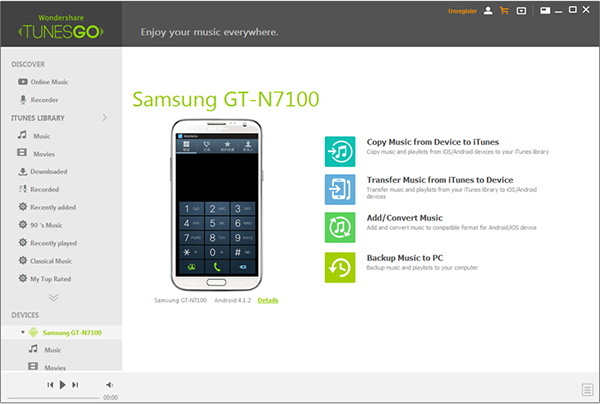 After the program detects and analyzes your Android phone, you will note a brief interface which clearly shows the program benefits to Android phone, and choose the mode of "Transfer Music from iTunes to Device". After choosing the mode, a newly window will tell you there are two options for you to transfer iTunes music: 1, Transfer from the entire library; 2, Transfer from the selected playlist. 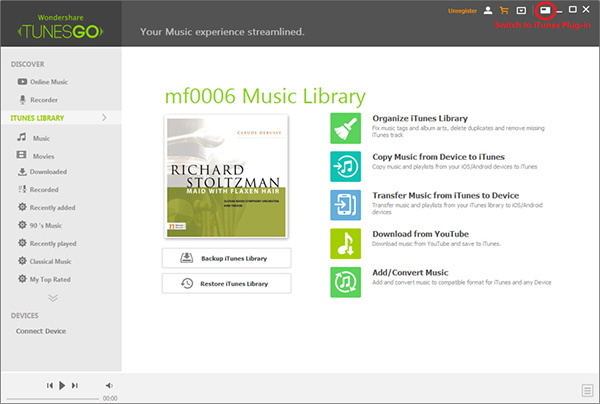 Yes, considering about you do not want to transfer whole music at a time, Tunes rebuilder offers you flexible selection. 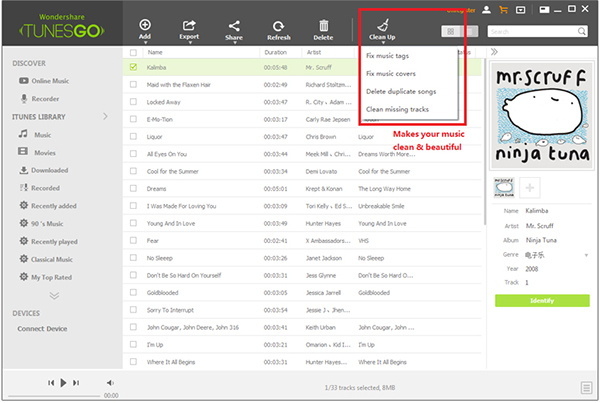 You can choose one or more music categories under the selected playlist to start transferring music, which saves much time for you. 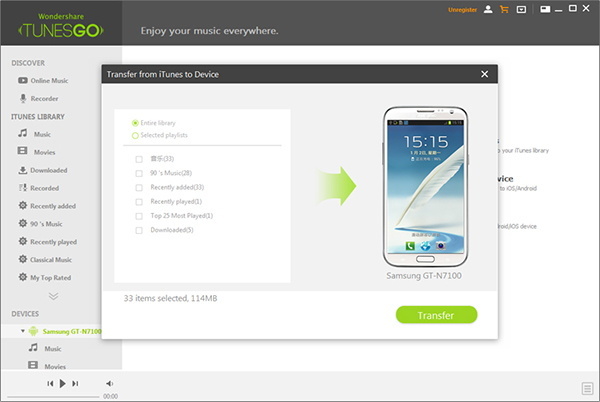 Finally, you can click "Transfer" at the right bottom and get the music that you prefer. How to Manage iTunes with Tunes Builder? Tunes Builder furnishes more functions than iTunes does. Perfectly manage iTunes music; automatically classify your music; export your music into computer and more. In addition, most importantly, it can share your music to other community platform to let your friends enjoy it as well.